When you are teaching students how to edit, there are a few things that you need to consider. 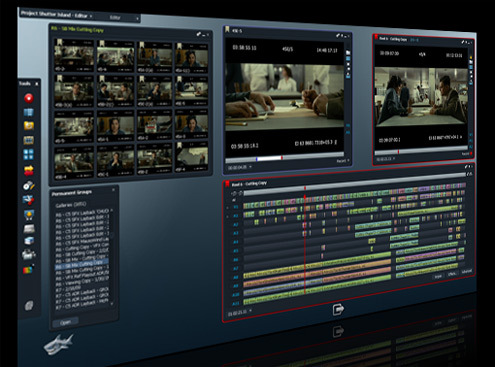 Firstly what you will want them to edit - usually, moving image and audio. You will therefore need the things which go with this. In this guide, you will be able to find out about the best editing software for your budget, top tips and more. You will obviously need access to computers. When students are editing, it can take more than a few lessons - especially when they get really into it. You may want to consider having access to a classroom after school hours, so students can drop in and use them, or you have bookable laptops for students to use in and out of lesson time. You will also need some microphones for voice overs and it can be useful to have a ‘recording studio’. This could be a cupboard that you utilise! Your school will be pleased with the creativity you have used, and you can actually create a sound proof room on the cheap - yes, egg boxes do work. You can also use either egg box foam (available online) or acoustic tiles. You need to also think about how the work is downloaded from the camcorders to the computers. Normally with Macs, firewire cables are advisable as they are quick and efficient. Your camcorders may however use DVDs or tapes. You need to organise and ensure that all your cables and hardware is compatible before you get started. If you need more bespoke advice, please contact us. Headphones are helpful so you don’t hear everyone’s films at once (selfishly) and so they can concentrate on their own work. If you can get double head phones, headphone splitter units (which two people can listen to their work). It is worth speaking to your music department to see who supplies theirs. These can be very cheap.